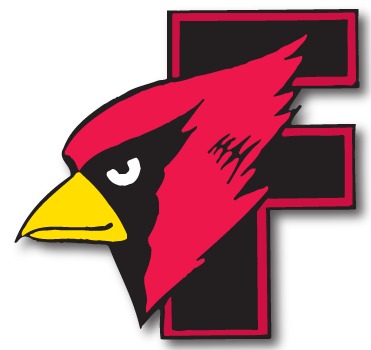 Day 1 - WIAA State Boys Golf Meet - Fond du Lac in 2nd Place - Cardinal Athletic Alumni Association, Inc.
Fond du Lac shot a 305 in the first round at University Ridge on Monday and is in second place in the Division 1 competition heading into Tuesday’s final round. Marquette leads a logjam of teams atop the Division 1 leaderboard after shooting a 299, with the Cardinals looming just six strokes back. Middleton and Arrowhead are tied for third place at 306 followed closely by Kettle Moraine (307) and Sheboygan North (311). All five Fondy golfers shot an 80 or better and the Cardinals were led by a trio who are in the top 15 on the leaderboard. Elliott Nielsen led the way with a 73 and is sixth overall, while Jack DuChateau and Jonah Dowell were in a tie for 15th after rounds of 76. Sam Nielsen and Seb Hoban each carded 80s. Elliott Nielsen’s round was highlighted by an eagle on the par-5 16th hole that briefly had him under par. One of the keys to the Cardinals’ success was a strong start as they avoided any jitters. As a team, Fond du Lac played the first two holes a combined 1-under par and four of the five golfers shot in the 30s on the front nine.